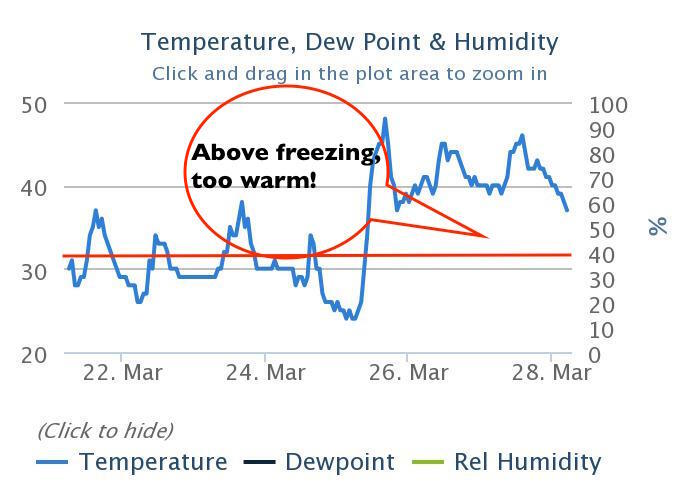 Summary: Winter sputtered back to life through the weekend, followed by strong sunshine and warming. Clouds and wind returned mid-week. 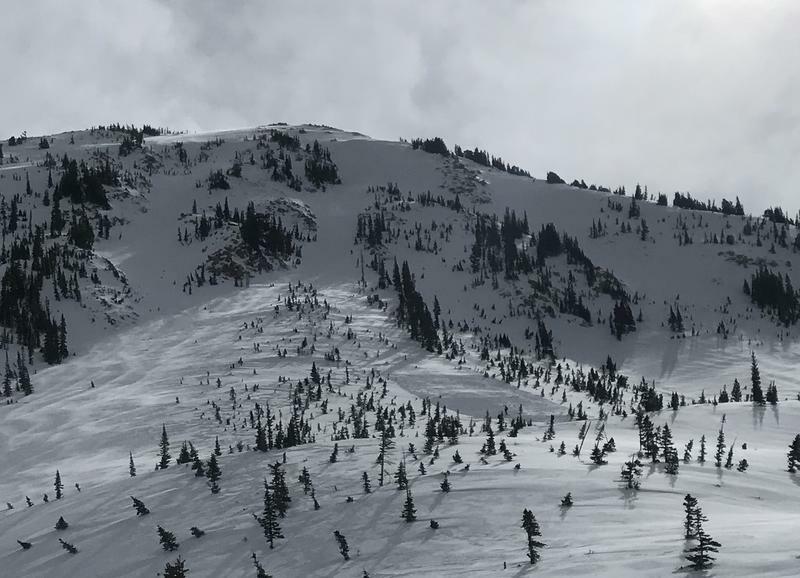 A few human-triggered avalanches, with a significant event in Cardiac Bowl on Sunday March 24. Friday March 22 - Storm snow totaling 8-10" from the past few days in the Salt Lake mountains, but settling rapidly. Only some minor shallow wind slabs are reported as being sensitive. 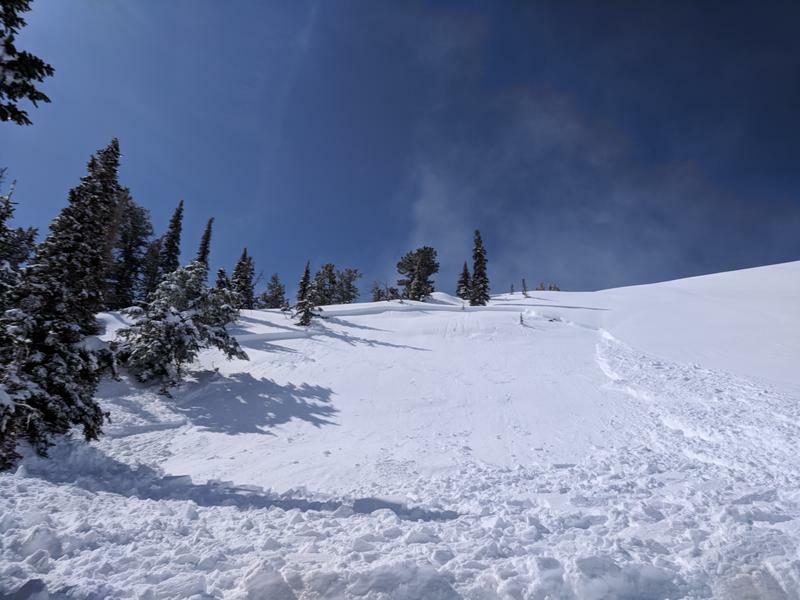 Monday March 25 - Strong sunshine and warming temperatures leads to the usual round of wet avalanche activity, involving loose wet sluffs as well as larger wet avalanches on steep, south-facing paths in Little Cottonwood Canyon. 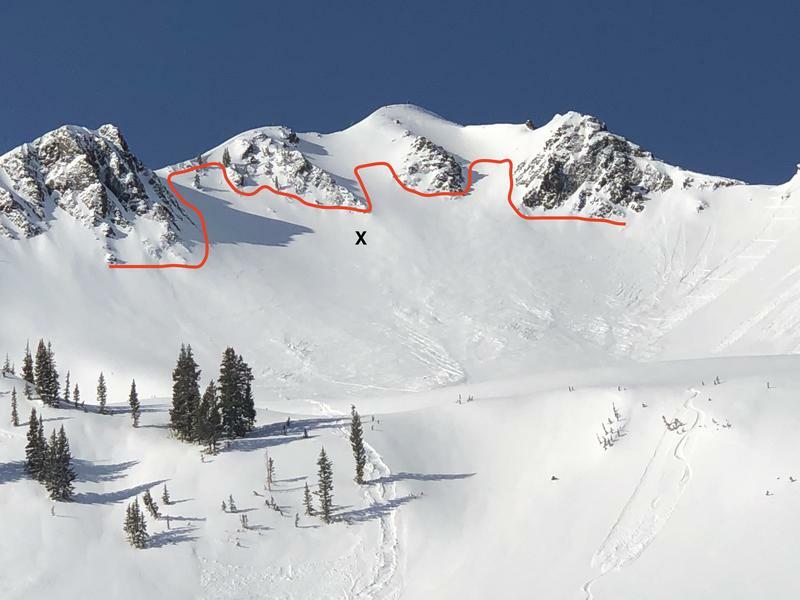 In the Ogden mountains, a skier is involved in an avalanche failing on a layer of surface hoar, with a partial burial (observation). Wednesday March 27 - Winds out of the south/southwest begin to increase, and warm temperatures continue. A glide avalanche on Blue Ice is reported, occurring likely on Tuesday or overnight (observation). Thursday March 28 - South/southwest winds and warm temperatures continue, with many stations at the low and mid elevations now reporting 72 hours without temperatures dropping below freezing. No avalanche activity is reported from the backcountry as clouds, wind, and slightly cooler temperatures minimize wet avalanche activity.